Welcome to Day Eight of Fiction University’s At-Home Workshop: Idea to Novel in 31 Days. The first twelve days will focus on developing the story and getting all the pieces in place so we can more easily plot the entire novel. Do You Need a Character Arc? While many novels contain a character arc, not all of them do. 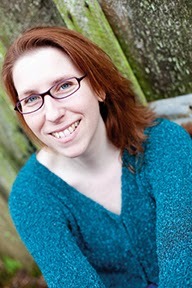 Some genres, such as thrillers or mysteries, focus on solving the external plot and the protagonist doesn’t grown over the course of the novel. This is especially true in a series. Think carefully when deciding not to do a character arc, however. It’s easy to think, “Well, I don’t need it because my plot is so cool and that’s what the story is really about,” and wind up with a random protagonist who feels more like an actor on a stage than a character with a problem. If you decide to do a character arc, move on to developing that arc. A character arc is the internal struggle and progress a character goes through over the course of a novel that changes her in some way. It’s usually connected to the internal conflict so that what she does (plot) forces changes in who she is (character arc). It can sometimes be confused with character motivations (a character worries over something so she acts to prevent that something) but why a character acts is different from how she changes because of her actions. Motivation drives the actions. Growth is the result of the actions. Character arcs in general can take many forms. 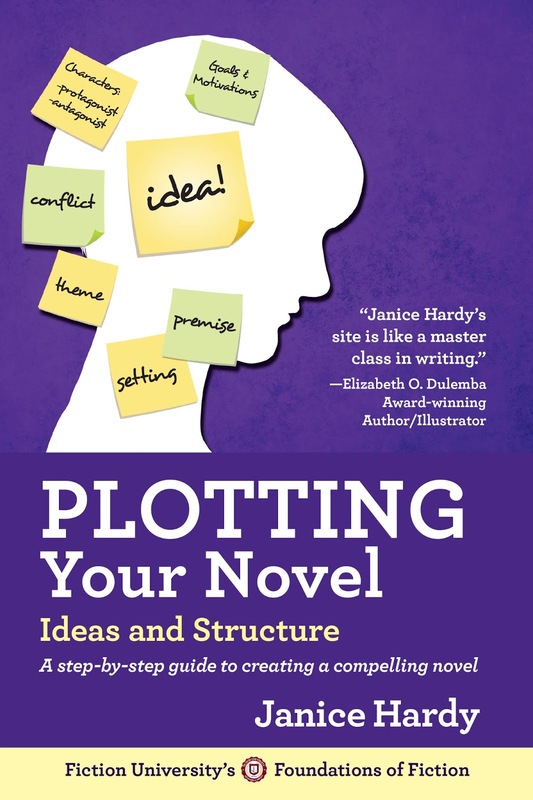 Some writers plot them out just like, well, plot, and know every step a character needs to take to reach her end state. Others let characters run and see where they go. Both are acceptable. Most novels end with the protagonist undergoing some kind of growth, but not every protagonist needs to. Long series often keep the protagonist as is, since part of the reader’s enjoyment is coming back to an old friend. But if the whole point of the book is to undergo some kind of personal change, then knowing that change will help get you there. And even in a series I still think it’s a good idea to have some growth. Watching a character who makes the same mistakes all the time gets old fast and is hard to take seriously. Nobody changes just for the fun of it, though. Something made this person reevaluate her behavior and realize she needed to make a change or else. She probably suffered a bit. Sometimes the suffering is minor if the change is small, like realizing she could be a bit more polite when dealing with co-workers, but for real change you need real incentives. If the protagonist is going to evolve in a major way, the events that force that change are likely to be equally major. Character arcs often involve showing the protagonist engaging in the behavior that needs to change and having it turn out badly for her. Eventually, she’ll do the right thing and be rewarded. She also doesn’t do this on her own—someone or something acts as a catalyst of some type that forces the character to take a hard look at herself and her life. Change also works both ways. Negative reinforcement might gain positive results, but bad things can also push the protagonist away from the change she needs to make. It’s a dark moment event, where she backslides and wonders if it’s all worth it. There might be some bad times ahead before that change occurs. If she backslides, she might rebel or do something that does indeed grow her character but not the way she probably should go. She might lash out, do something just because she knows she shouldn’t. She might do the opposite of what she knows is right to show she doesn’t have to do things someone else’s way. It’s very likely the character arc is going to connect to the novel’s theme or premise in some way as well, as character growth is a great vehicle for illustrating theme. 1. Where do you want the character to end up? 2. How much does the character need to suffer to achieve this change? 3. Who or what brings about that change? 4. How might the changes be for the worse? 5. How might the character grow in the opposite direction? 6. How does the change reflect the premise or theme? EXERCISE: Describe how your main characters might grow or change over the course of the novel. Be as detailed or as vague as you need to at this stage. You might know the protagonist needs to “learn to accept her limits” but not specifically how she’ll do that. But you know the arc will be coming to terms with personal limits. 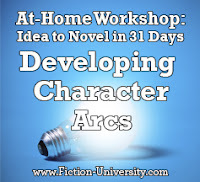 Feel free to create arcs for as many characters as you wish, and write as much or as little as you need to. Those following along with the PYN book: Workshop Four goes into more extensive detail on developing your characters and character arcs. Tomorrow, we’ll look at choosing the right point of view style to suit your story. Nothing wrong with taking extra time. :) I'm behind on comments, but I hope you caught up some and are ready to do NaNo next week!